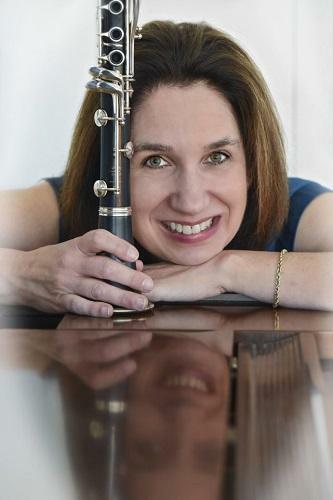 Jeanmarie Riccobono is the principal clarinetist in the Traverse Symphony Orchestra. She also teaches clarinet at Northwestern Michigan College and the Bay View Music Festival. She'll be the soloist this weekend in Aaron Copland's Clarinet Concerto with the Traverse Symphony Orchestra. 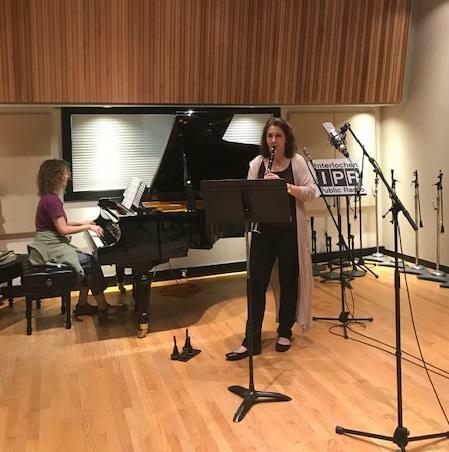 Riccobono visited IPR’s Studio A for a performance and conversation. She performed the first movement of the Copland concerto with collaborative pianist Susan Snyder. Riccobono also talked with IPR about the "endurance factor" required to play the Copland concerto and why it can be tricky finding a place to practice when every member of the family is also a musician. Riccobono will be featured with the Traverse Symphony Orchestra on Sunday, October 14 at 3 p.m. in Corson Auditorium. The program also includes music of Brahms and Sibelius. Click here for more information. Brock Morman engineered this edition of Studio A. Sophia Bondi provided production assistance. 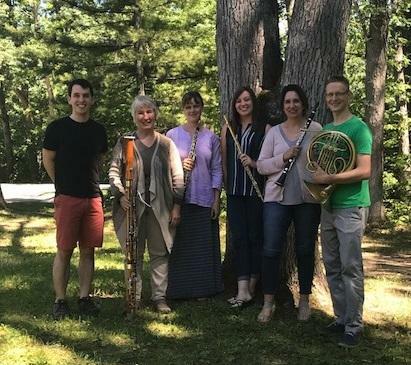 Kristen Holritz, Jeanmarie Riccobono, Aaron Brant, Sara Fraker and Jill Marderness are the Bay View Wind Quintet. They are the resident faculty quintet of the Bay View Music Festival.